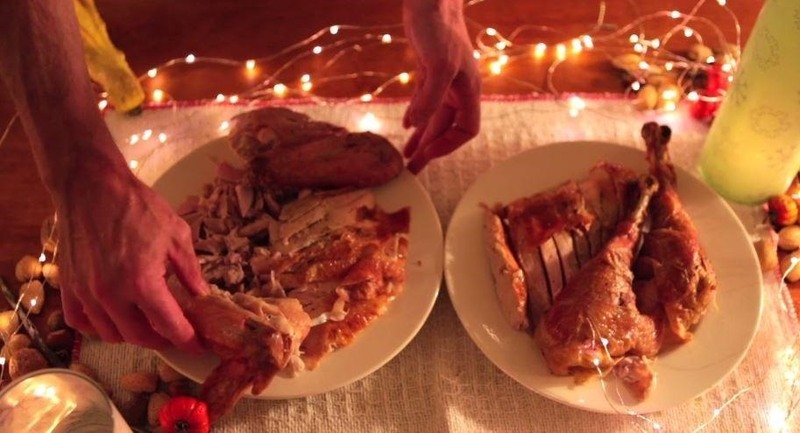 There are many ways to carve a turkey. Some swear by the tried and true traditional method with a carving fork and a sharp blade, and others would be lost without their electric knives. Regardless of your preference in utensils, you can't just go hacking away at it if you want to end up with all the right pieces. 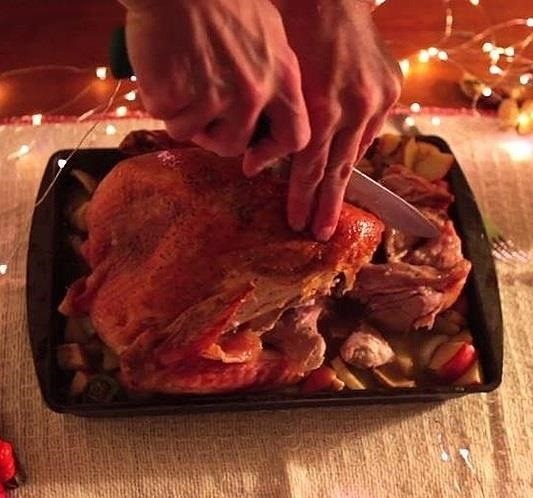 If you've never carved a turkey before and have no idea what you're doing, this quick little video from The Kitchn by Apartment Therapy's Maxwell Ryan is a good place to start. It shows the simplest method using nothing more than a sharp knife. You start by cutting the legs, breasts and wings from the bird. Once removed, separate the the legs into thighs and drumsticks. 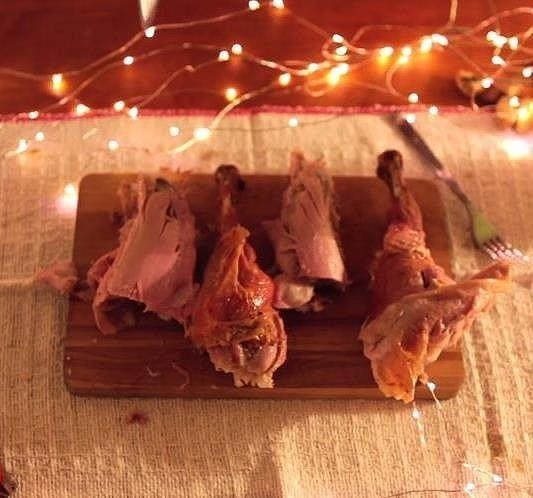 Now, just slice the thigh and breast meat and arrange everything on a platter for serving. Be sure to check out some of our other articles for more tips and tricks for carving a turkey.